Smart Flour Foods’ ancient-grain based pizza. Designed with a proprietary flour blend that contains sorghum, amaranth and teff, these whole grains give the pizza a delicious taste, classic texture, and enhanced nutritional profile (i.e. more vitamins, protein, iron, calcium, and fiber than leading conventional and gluten-free pizza brands). Made with a clean ingredient deck, certified gluten-free, and completely free from preservatives and artificial ingredients, the lineup features real mozzarella and provolone cheese that is free of rGBH and hand-selected, uncured meat that is free of nitrites and nitrates. 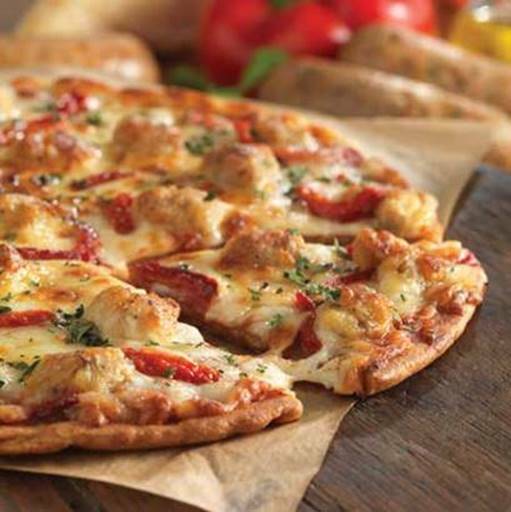 The crusts themselves, sold separately, are also Non-GMO verified, vegan, soy free, dairy free, and Kosher.Varieties include: Uncured Pepperoni Pizza, Garden Margherita made with fresh Roma tomatoes and flavorful basil, Classic Cheese, and new gourmet Italian flavors: Tuscan Inspired Two Meat and Chicken Sausage. I beyond a doubt would and do recommend this brand to all of my fellow pizza lovers! Smart Flour Foods’ frozen pizzas and crust can be found at select natural and specialty stores nationwide. The SRP is $6.99 to $7.99 for the pizza and $4.99 to $5.99 for the crust. 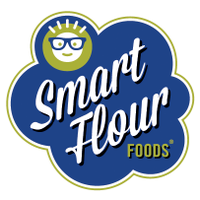 Visit Smart Flour Food's for more info and to find a store near you. Find them on Facebook, and Twitter.